Routine maintenance for both your heating and cooling systems is the best way to keep them in check year-round. While they may not show signs of needing repair, that doesn’t mean you should forgo routine maintenance. Keeping your systems in check allows you to enjoy maximum efficiency and lower utility bills. Keep your heated (or cooled) air where it should be with properly installed insulation. Our team works with top-quality insulation materials to keep you cozy year-round, including cellulose, spray foam, and fiberglass. Homeowners can save up to about 30% on annual energy costs with new, energy efficient window upgrades. Our team works with Milgard’s superior window products, making sure we offer you the best aesthetics and efficiency on the market. Our team will work with you to pick the best windows to suit your home! Milgard doors are known for their reliability, beautify, and efficiency. 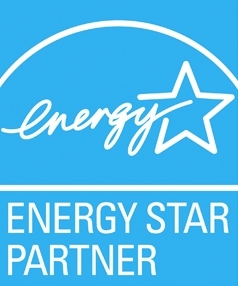 Upgrading your existing doors with high-efficiency alternatives can decrease your energy bills by an average of 12%, according to ENERGY STAR estimates. We’ll work with you to find a door to fit your budget and style preference. There cracks and gaps in every home that leak air. Added together, these small perforations in your building’s perimeter (or “building envelope”) can cost big time. Save money on heating, keep your home temperature balanced, and enjoy better energy efficiency year-round with our professional air sealing services. Our team will find the areas of your home that leak the most, and take a targeted approach to air sealing the areas that will save you the most. We’ll get you on the path to energy savings. Contact us to schedule a free consultation today! Older PostMake Solar Pay for Itself in 2016!